What is your body posture saying about you? Are you happy? Gloomy? Courageous? Fearful? How you feel about yourself reflects in your posture. 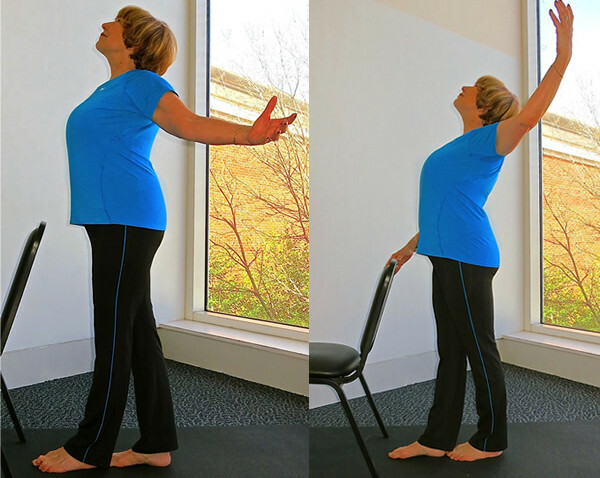 While an expansive posture increases the body's energy, opens the heart area, and creates 'happy movement' in our body; a slumped, collapsed posture stagnates free movement within the body and decreases our energy level. Through alignment awareness we are able to not only enhance our physical health and ward off disease, but are able to change our mood, create self-confidence, and awaken our inner happiness. Take a moment to lift your heart away from the navel, roll your shoulders up, back and down and awaken your youthful radiance!